The Generator Blog: Benny Hill Yourself. Before there was Saturday Night Live, before there was Monty Python, there was the original comedic genius Benny Hill. Now you can get a little cheeky with 'Benny Hill Yourself' and be the merry master of mirth. 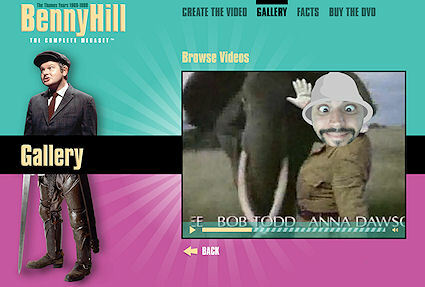 You can upload your photo strait into one of Benny Hill's hilarious sketches.